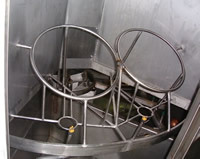 The rotary washer has a common load and discharge position and has five compartments that are utilized for specific treatments. Items being washed are moved through each compartment on an indexing basis with a variable cycle time. 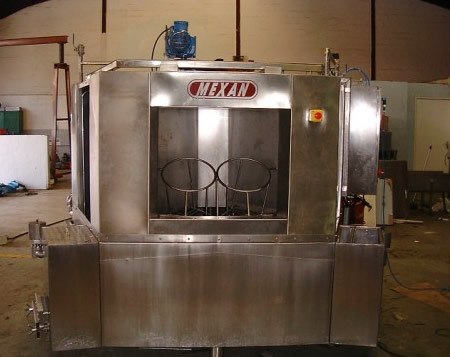 This unit washes in excess of 240 units per hour.